There are several different ways to achieve the addition of color when it comes to your concrete project. Depending on your project and your desired color choices, we will collaborate with you to determine the best method of application so that your concrete color lasts and looks sharp. 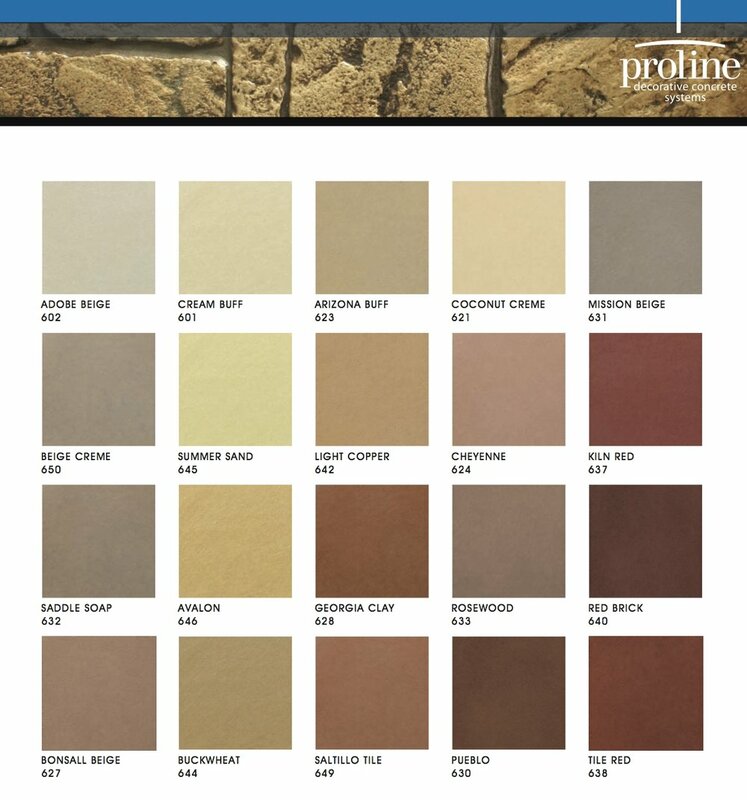 * The color charts below are from the different suppliers that we use for our color. These colors can be placed directly into the concrete as it is being mixed, which allows the color to be distributed throughout the concrete as it is poured. 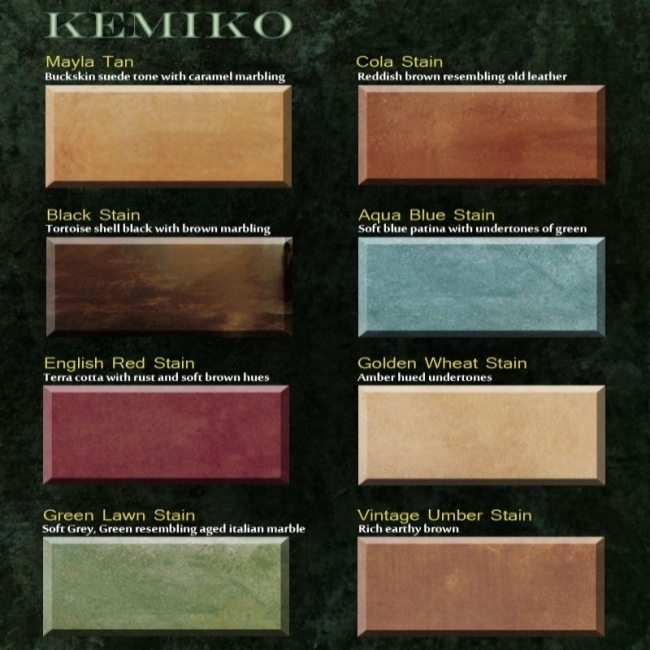 These colors often serve as the base color, which can be highlighted with additional staining or antiquing after the concrete sets. These colors are applied after the concrete has set on new projects, or can be used on existing concrete surfaces. They can be applied to standard concrete to give it the color that is chosen, or applied to colored concrete to help achieve a desired color or highlight. These colors are applied to standard concrete once it has set, or can be applied to existing concrete surfaces. Acid Stains are unique in that they react to each concrete surface in its own way. This means that we have a little less control of the end result in terms of consistent patterning, as compared to other methods of coloring, however you are guaranteed a very unique, more random appearance. Metallic Epoxy overlays can be applied to most existing concrete floors. After the floors are cleaned and prepped, these colors are applied to a bonding primer to achieve a glass-smooth finish. These colors can be applied solo to achieve a singular color across the floor, or can be combined to achieve a marble or swirled appearance. The “Antiquing” process is the final step when it comes to coloring. An Antique Color is applied after all other colors have been added to the concrete surface. As it dries, it rests in all the depressions found within the stamp. Once sealed, this color “pops” creating a highlighted and aged appearance to really make the stamped pattern come to life.